The Breville Smart Grinder™ comes with some special features. Variable Grind Size – The Smart Grinder gives a range of 25 differing grind sizes to choose from, ranging from the coarsest French Press setting to the finest espresso setting and everything in between. 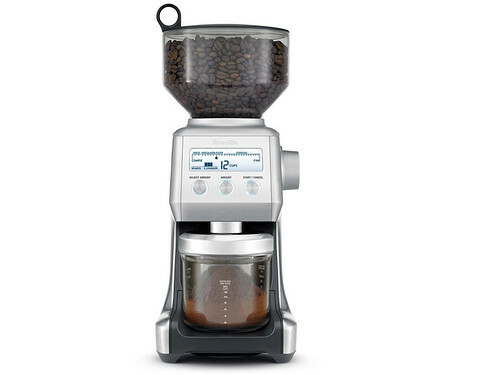 Adjustable Grind Amount – The grinder also provides the option of choosing a grind amount. This is true for not just drip coffee but also for espresso to allow for personalization of even the smallest coffee drink. Grind Container Options – The Smart Grinder™ provides differing sized cradles from the 50 – 54mm portafilter cradle to the 58mm cradle as well as the grinds container for drip coffee and French Press coffee.